Jesse is an associate lawyer at Mullin DeMeo and his practice includes residential real estate and corporate/commercial transactions. In working with clients who are buying or selling a home, Jesse strives to ensure that the legal aspect of their transaction is an informative and seamless process. Jesse grew up in Victoria and maintains a strong connection to the community. After completing his undergraduate degree at Royal Roads University, Jesse moved to Calgary where he earned his law degree at the University of Calgary. While in Calgary, Jesse worked and articled at a busy real estate conveyancing solicitors practice. 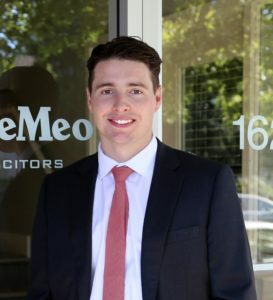 In the summer of 2016 Jesse’s daughter was born and he and his wife and daughter moved back to Victoria where he joined Mullin DeMeo. When Jesse isn’t working you will find him spending time with his young family and friends, boating, fishing and exploring the island. Copyright © 2018 ShelbyDonald.com. This is not an offer for sale. Not intended to induce breach of an existing agency agreement.